Whenever leaving the vehicle or parking, always come to a complete stop and continue to depress the brake pedal. Move the shift lever into the P (Park) position, then apply the parking brake, and place the Engine Start/Stop button in the OFF position. Vehicles with the parking brake not fully engaged are at risk for moving inadvertently and causing injury to yourself or others. 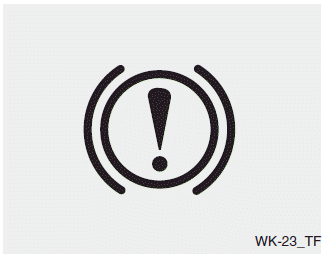 Check the brake warning light by pressing engine start/stop button switch ON (do not start the engine). 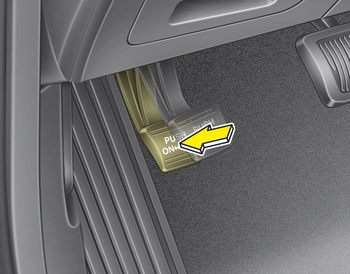 This light will be illuminated when the parking brake is applied with the engine start/stop button switch in the START or ON position.